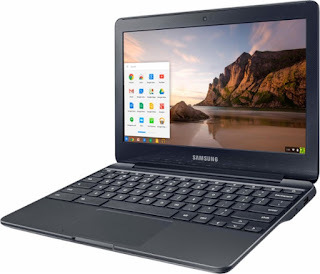 The SAMSUNG CHROMEBOOK 3 XE500C13-K03US is a notebook PC comes equipped with the processing power of Intel Celeron N3060 dual-core SoC that features 2 MB level 2 cache and runs at the base clock speed of 1.6 GHz with Boost speed of up to 2.48 GHz. This also offers an integrated GPU based on the Intel Gen8 architecture, which supports DirectX 11.2 with 12 EUs (Execution Units) and a clock speed of up to 600 MHz. This SAMSUNG CHROMEBOOK 3 XE500C13-K03US laptop PC is packed with different features such as 4GB system memory for basic multitasking; 32GB eMMC flash memory; built-in cloud support; media reader for simple photo transfer; built-in virus protection and Google products; HD webcam with microphone and a 2 Cells / Li-Ion 4400 mAh battery for up to 11 hours of battery juice. It comes in metallic black color for stylish look. This SAMSUNG CHROMEBOOK XE500C13-K03US comes packed with 11.6" LED display with a screen resolution of 1366 x 768. This resolution is not that high so it is expected that it is not that sharp and clear compared to laptops with higher resolution. It offers energy-efficient LED backlight. 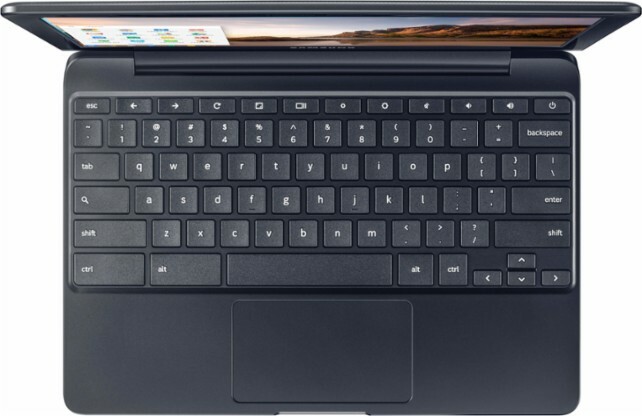 With regards to connectivity, this laptop PC comes packed with Bluetooth 4.0 interface syncs with compatible devices; 1 USB 3.0 port maximizes the latest high-speed devices; 1 USB 2.0 port to connect more accessories and peripherals; Intel AC7260 Wireless connectivity; and HDMI output expands your viewing options. This laptop PC is powered by Google Chrome OS. This laptop measures 0.7 inch x 11.4 inches x 8 inches and weighs about 2.54 pounds. You can get this laptop at the price of $199. Do you have this laptop PC? Share with us your experiences with this particular device. Other laptops in this price range include ACER ICONIA B3-A40-K7JP; Lenovo Ideapad 80WG0001US; and Acer Switch One S1003-114M. 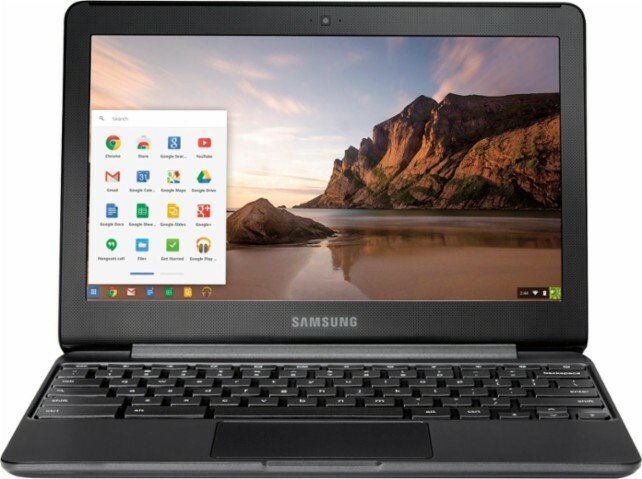 Note: This SAMSUNG CHROMEBOOK XE500C13-K03US laptop PC will be on SALE this Black Friday 2017 at the price of $119 at BestBuy.